Have you noticed how many accessories there are now available for Apple electronic products? The innovative design and sleek shape of these hand held gadgets has set new standards for the production and design of the various additions. The introduction to the marketplace of the iPhone, iPod and iPad has caused a flurry of designers to ‘invent’ all types of additional items to complement these products. Not all are practical, useful or even necessary, but in my opinion the iPad definitely deserves protection and the Booq Boa Skin XS Neoprene Sleeve does this very well and it also looks good. 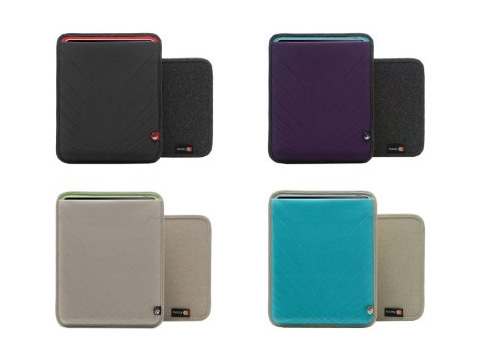 It is made from soft neoprene, which stretches to accommodate your iPad and other items. The rigid base is wrapped in Twylon for optimum durability and provides impact protection for the display side. Apart from preventing the iPad from getting scratched or damaged, the cover is a stylish, simple addition that is well designed and produced. 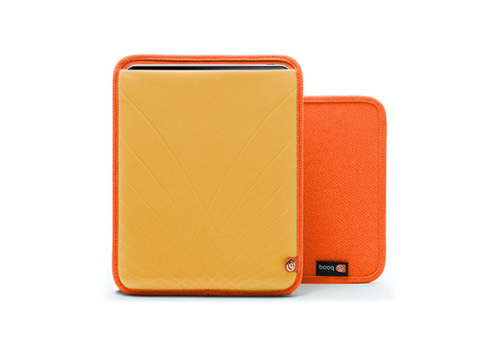 The cover protects the iPad, whether you carry it around in your back pack, brief case or just as it is. It is such a great device you will want to take it with you everywhere you go and if you keep it in the Booq Boa Skin sleeve you will not have to worry about your iBaby!. There are several color combinations available and one of them will surely suit your taste. Reasonably priced for an item of this design and quality and great as a gift for the proud owner of an iPad.